MAS in Transitional Justice, Human Rights and the Rule of Law: What our Students Say? Luisa Fernanda Gómez Betancur tells us about the programme and life in Geneva. Zoë Doss tells us about the programme and life in Geneva. Anthoula Bourolias tells us about the programme and life in Geneva. 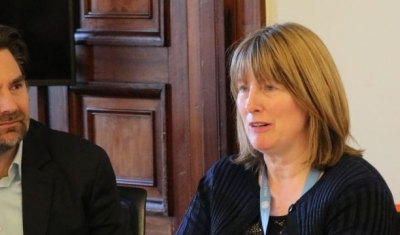 As part of our Transitional Justice Café series, Professor Fionnuala Ni Aolain discussed with students of our MAS in Transitional Justice, Human Rights and the Rule of Law the links between transitional justice, security and counterterrorism. During one semester, as part of the course on transitional justice in practice, students of our MAS in Transitional Justice, Human Rights and the Rule of Law formulated policies to tackle one of the most challenging questions in transitional justice (TJ) work today: the role of TJ during conflict or early post-conflict situations.  The Geneva Academy offered me a great opportunity to achieve a smooth transition between student life and my professional career. The programme is structured around six modules that cover central theoretical and practical issues in the fields of transitional justice, human rights and the rule of law. Our Master in Transitional Justice, Human Rights and the Rule of Law is organized around intimate learning communities enabling close interaction between students and professors.